Cantilevered table with a minimal design. Produced out of a single sheet of powder-coated bent steel. 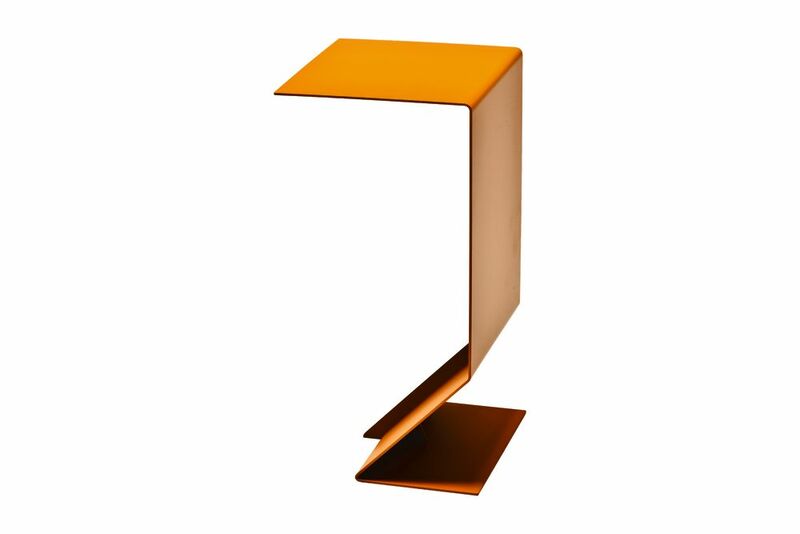 Marc Thorpe Design was founded in 2005 by architect and industrial designer Marc Thorpe. Thorpe is known internationally for his innovative and dynamic work, taking a rigorous approach to the integration of architecture, design and technology. Thorpe and his team collaborate with clients to develop and execute brand growth strategies. The studio conceptualizes design while building brands, and has the resources to produce consistent communication platforms. These include progressive architecture, interior design, digital media, graphic design, furniture design, product design, retail and exhibit design. The studio designs relationships. The focus of Marc Thorpe Design is in the systemic intersections a project presents. In order to discover a project’s potential, the studio works closely with clients and collaborators to foster new ideas, establish common vision and innovative strategies of approach to nurture the design process. The results are design solutions with the highest degree of precision, quality and character. The studio offers itself as an open system of exchange. Thorpe has dedicated the studio to the research, professional practice and education of systems thinking through the discipline of architecture and design. Thorpe states, “We believe in a holistic design approach, which engages the social components of space and form.” Collaborations with digital artists, interactive designers, new media designers, sound and lighting engineers and social media experts have advanced the practice’s diversity and knowledge. Moroso has been working in close collaboration with some of the world’s most talented designers to produce luxury sofas and seating since 1952.